Available at all 3 Locations on different dates! Grab your friends and your favorite beverages for a fun social sewing event. 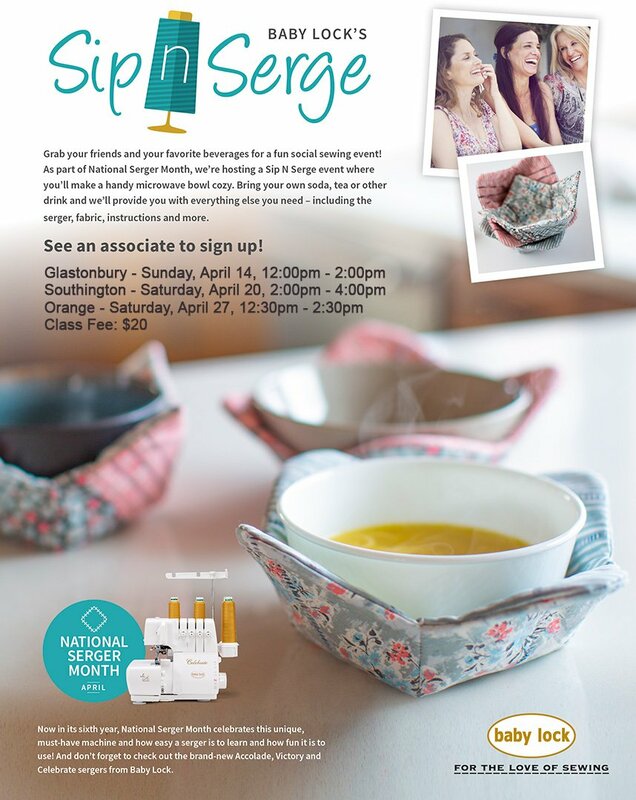 As part of National Serger Month, we're hosting a Sip N Serge Event where you'll make a cute microwave bowl cozy to take home with you. Bring your own beverage and we'll provide you with everything else you need - including the serger, thread, fabric, instructions and more! Prior serger experience is not necessary. Class fee $20. Saturday, 4/27, 12:30pm - 2:30pm - Orange SESSION CLOSED!